See data links for information on how indexed were developed. This page combines the indexed developed elsewhere into a string-score and color codes them for the appropriate repair specification. 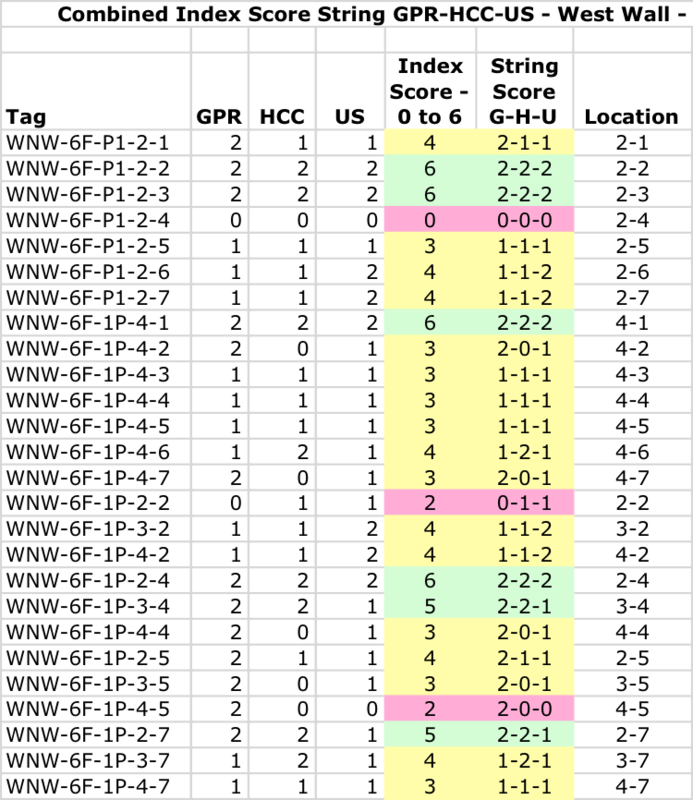 The sting-score is indicated on image above by row and column number.